Enter your email address below to receive a notification when The Just Because Box starts accepting new sign-ups! 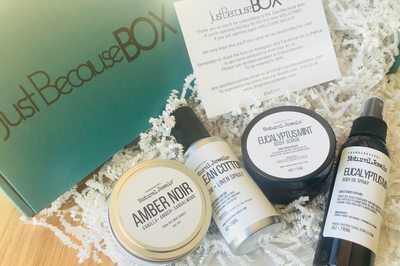 Enter your email address below to receive a notification when The Just Because Box is accepting new sign-ups again. March's Box has shipped. 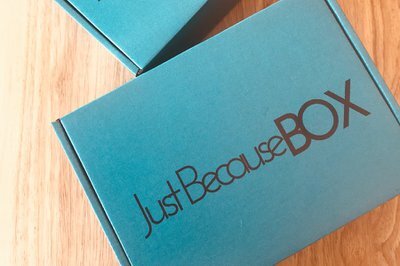 The Just Because Box Will Renew On The The 1st Of The Month. April's’s Boxes Will Ship Out On Around the 25th . If Being Sent As A Gift... The Box Will Be Shipped Within 2-3 Business Days. 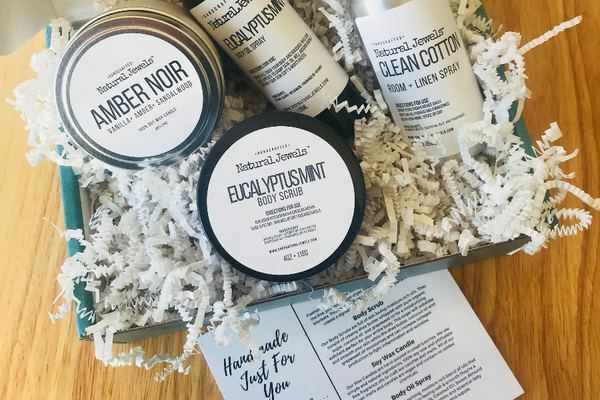 Subscribe By The 22nd Of This Month, To Receive The Current Month's Box. The Just Because box is a monthly subscription that delivers natural and handmade bath and body products to your door. We ensure that our products are as beautiful as they are healthy for you. Each box includes 3-4 full sized handcrafted products. Our goal is for our subscribers to take time out of their busy schedule to relax.... Just Because. Wonderful box and customer service! I look forward to this box every month. The butters are so emollient and moisturizing. They also smell sooo good! It makes me feel like I'm going to the spa every time I use them! I also can't speak enough about Natural Jewels customer service. 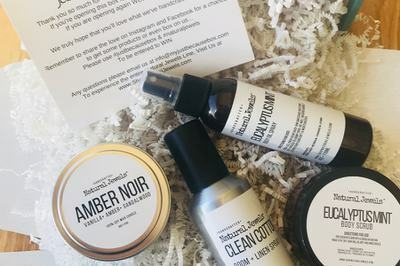 They respond to emails pretty much immediately and were even able to customize my boxes to cornstarch free butters because there's a corn allergy in my family! They even replaced my first box that contained butters that had cornstarch in them! I love this box so much i upgraded to the bigger box. There hasn’t been a product from Natural Jewels i haven’t liked yet.